Britain largest Food banks charity is bracing for the busiest month on record as benefit cuts plunge thousands into poverty and destitution. Figures released this week by the Trussell Trust reveals that December was the busiest month for food banks in 2017. 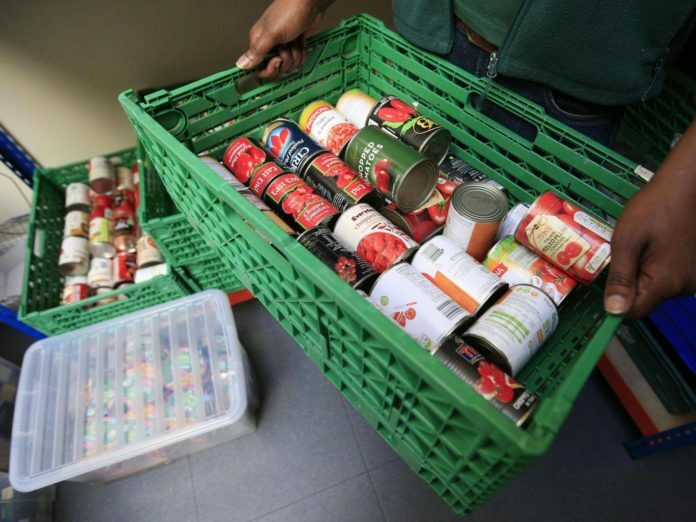 The charity warns that the use of food banks is set to soar to record levels over Christmas as UK families struggle to pay basic living costs. 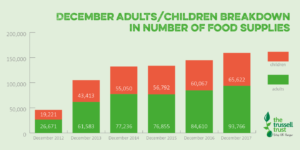 Welfare weekly reports: During December 2017, the Trussell Trust network, which consists of more than 420 foodbanks operating out of more than 1,200 centres across the UK, provided 159,388 three-day emergency food supplies to people in need, including 65,622 children. The charity’s data shows that demand is growing rapidly year on year, and there is sadly no sign of this worrying trend abating. Between 1st April 2017 and 31st March 2018, The Trussell Trust’s foodbank network distributed 1,332,952 three day emergency food supplies to people in crisis – a 13% increase on the previous year. The Trussell Trust says colder weather piles greater pressure on people who are already struggling to make ends meet, including the inability to afford basic costs of living such as heating bills, food and other essentials. 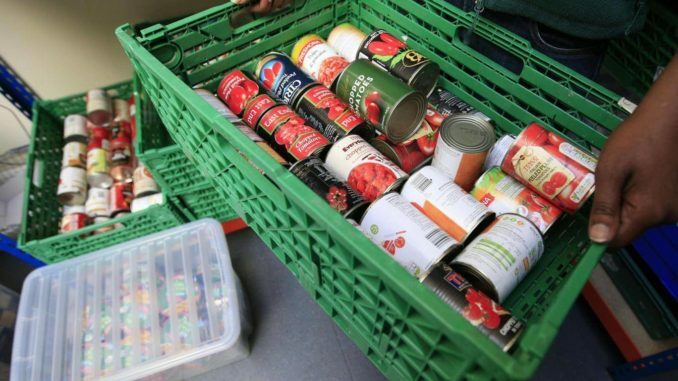 Benefit cuts and changes to the social security system remain the most common reason for referrals to foodbanks, the charity says. In particular, the introduction and rollout of Universal Credit is having a devastating impact on poor and low-income households, partly due to the long wait claimants are expected to endure before receiving an initial payment. “Our benefits system is supposed protect us all from being swept into poverty – but what we’re seeing is people struggling to heat homes and put food on the table because they simply cannot afford the basics anymore and that just isn’t right.